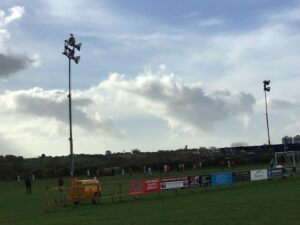 A photo of a rugby field is an odd way to begin an article related to fishing, but if you will cut me a little slack hopefully you will get the drift of what I am trying to get across. Having reached the age when I am now entitled to a government pittance the words of my much loved grandfather seem to become more pertinent “Always try to leave something better than you found it” was his simple philosophy. Looking around at the improvements in the facilities for other sports, for example the rugby pitch, they have made huge strides (I remember having to remove cow dung from a pitch before we could play and the washing facilities were a series of tin baths with lukewarm water). So while others have improved things, have we as anglers? Or can we do more? 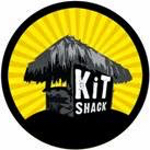 Now commercial venues have, to a great extent, done exactly that, it is clearly in the interest of the fishery owners to provide tip top facilities, we have decent toilets, tackle, bait and hot food on site and of course easy walks to comfortable swims that are full of fish all supplied at reasonable cost and I and thousands of others take advantage of this on a regular basis. However for many anglers including myself I like to mix it up a bit and fish natural venues as well and here our problems begin. We seem to have lost so much access and gained so little over the years, this access was often not easy but none the less, possible, I can remember fishing in competitions where there were so many fences to get over it looked like the start of a human Grand National, often with a few fallers! However there were often in excess of 100 runners and riders and competition fishing was never more popular. This brings me nicely to the point of this article, in one of Jamie’s recent posts he explains the difficulty in getting enough fishable pegs over a number of miles of river. Obviously this was partly due to an early season weedy river but there are clearly other issues. One is that we seem to be much less welcome by farmers and landowners and its not difficult to see their point of view with increasing rural crime including disgusting fly tipping, they become suspicious of anyone on their land and who can blame them. Parking has also become an issue as many little pull ins, laybys etc seem to become someones parking spot as the population increases. Add to that the increasing use of waterways and banksides by boaters, joggers, cyclists and dog walkers it all points to a difficult future for fishing natural venues. There have been a few issues that spring to mind just a few miles from where I live, that with a little co-operation and forethought from the authorities things could be done. The first of these is the fence that prevents reasonable access to the south bank of the river Parrett at Cocklemoor in Langport. I am led to believe that the erection of this fence was to do with our old friend ‘elf and safety’ with regard to passing by the pumping station (not that to my knowledge there had ever been any problem in all the years we have fished the south bank). Surely even if this fence is justified would it really be beyond the wit to put a little footbridge over the rhine above the pumping station. The advantage of the south bank is twofold, it avoids potential confrontation with the many dog walkers some who have no control and think its ok for rover to piddle over thousands of pounds worth of fishing tackle and also in winter the sun is behind and you don’t get that dreadful glare to contend with. A footbridge and a gate with a key that is only available to club members does not seem that much to ask. Another disappointment, again within just a few miles of my house, is that downstream access on the Sowey and Langacre rhine between Othery and Aller has been largely blocked off since the flood relief scheme engineering work was done. I sincerely hope this alleviates the wretched flooding that so many had to endure but once again for the sake of just a simple footbridge, access could be restored. These are just two examples within a few miles of where i live but I am sure this must be happening elsewhere up and down the country. My final gripe from a grumpy old man is about a competition I fished on the river Huntspill this summer. Leading up to the event we were lead to believe that a key would be provided and that we would be able to drive behind the flood bank to our pegs, drop our kit off and walk back to our pegs. In the event the key was withheld meaning that the anglers, many not in the first flush of youth including one nearly 80 years old, had to lug their kit across a busy road, over several locked gates and down the bank and as an extra bonus the river was in a disgusting state with huge weed rafts everywhere. I understand that one of the reasons we are not allowed to drive behind the flood bank is that it may disturb wildlife, well about halfway through the competition a car pulled into the carpark and a woman jumped out with not one but five hunting dogs which charged up the bank disturbing all sorts of wildlife including us anglers!! So how does that work? I hope that no one concludes from this article that I am a dog hater, nothing could be further from the truth as those of you who know me will no doubt remember Sam and Charlie my golden retrievers. However I rarely walked them along the river bank mainly because I heard so many stories of people getting into difficulties trying to rescue dogs from rivers and not all had happy endings. Well that’s the moaning out the way, I guess anyone can do that and a lot of us do. Fishing club committees and me don’t mix well despite the fact that I have the utmost admiration for those that do serve and here are my reasons, A) – I can never guarantee that I will be here to attend meetings (I have a habit of sneaking off to France to fish), B) – I once served on a committee (no names) and spent almost the entire evening listening to an argument as to whether to increase the cost of membership by £1 per annum, yes £1 to bolster club funds, the one arguing that he and many others couldn’t afford or justify an increase of a £1 got up and bought a round of drinks for nearly £15, I just cannot be doing with that. 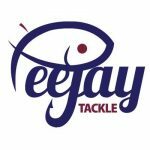 I do think that this excellent blogsite that Jamie has created could be used by anglers as a sort of forum for anyone who has any positive input in identifying our problems and ideas to solve them. 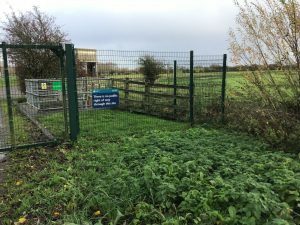 I think one of the things we could do is to try to increase club funds by whatever means possible with a view to approaching landowners to see if they may be willing to sell or rent out a small piece of land where carparks could be made and fenced off only to be available to club members. It may be difficult but in truth its only positive ideas that will get us anywhere, moaning certainly will not. Thanks Rocking always a pleasure to see you on the bank , having the craic about old times and hopefully fimes to come .Regards Baz. I wholeheartedly agree with the comments highlighted within this item. Can I suggest informing and lobbying the Angling Trust with specific details ideally with grid references (N.G.R.’s. ), by as many objectors as can be mustered, and object “with attitude” to the E.A if it is an obstruction / barrier installed by them. It absolutely infuriates me that access is denied to bona-fide anglers – who pay a rod licence fee and club subscription to try and take part in a perfectly legal sport, and now due to the minimal numbers of E.A. officers that are actually allowed out of their office, anglers are very likely to be the only eyes and ears on the river bank. For my sins I worked for the E.A. as a Water Bailiff for over 28 years and saw far too many examples of this, instigated by land owners (who are keen to accept monies for renting of their fishing) and by the E.A. themselves who are duty bound to encourage and promote angling (apparently) . Also I have literally been forced to jump in to save my skin on 3 occasions in the last few years. one fine day I’ll find the time to do some “proper” fishing on the Isle. Thanks Andy Its really good to know that there are others out there who at least share some of my opinions I can quite see why it is more difficult for landowners to allow people on to their land but there just doesn,t seem to be any positive ideas from people who have the power to find solutions.If nothing is done surely fishing natural venues will die a death by a thousand cuts and i hate the idea that the next generations will never have the chance to roam and fish that we enjoyed.As you were a bailiff for so long your support is really appreciated as you are probably better informed than me. I agree 100% with you and also stand by my comments – since retirement my cuffs and P.C. gag are off and to quote the words of Kevin Bloody Wilson D.I.L.L.I.G.A.F. It has been proved unequivocally that getting juveniles interested and involved in fishing is an extremely positive thing do for many and varied reasons – both long and short term. 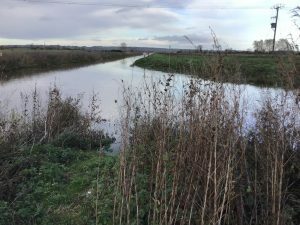 fishing the Isle from Donyatt – Middleney and the Parret around Muchelney /Langport / Oath was where I began my life long love affair with fish and fishing it is a sin as you say if present and future generations are denied this privilege. 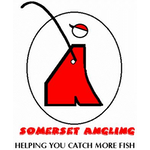 Unfortunately trying to organise anglers is similar to herding cats (impossible) – it would be a different scenario if it effected the ramblers right of access (not that I am a rambler….). my advice is don’t rock the boat – tip it over………..
but at the appropriate forum not in the face of the very few fisheries officers still out there. If there is an adipose fin involved it generally becomes more important – I question where does the main E.A. Rod Licence income come from ? rest assured it is not from Migratory Salmonid licences. Thanks to Rocking and Andy for their interest in the article the next thing i want to find out is how much land would be required to park say 8 vehicles , what would be the cost of making a hard standing ,plus gateway and screening off with trees , similar to the ones on the Bridgwater & Taunton Canal.also the attitude of planners to this idea. Before i do inquire is there anyone reading the blog who knows anything about the costs or the procedure. i wonder if the costs were reasonable there just may be landowners out there willing to sell or lease suitable land which might interest clubs. PS although only the two of you have responded to the article online I have had quite a lot of generally supportive remarks made to me personally.Regards Baz.